Frequently people come in to see me who want to relocate to another state with their children. Sometimes divorced, and sometimes having reached the end of non-marital cohabitation with the other natural parent, these individuals express a number of different reasons for wanting to leave New Jersey. Among the most common reasons are: A desire to go to a sun-belt state with appreciably cheaper costs of living and better job prospects; reuniting with family members who reside in another state; and a job transfer by a new spouse. Under New Jersey law, N.J.S.A. 9:2-2, minor children of parents divorced, separated or living apart, who are natives of New Jersey, or having resided five years within its limits, cannot be removed for residential purposes out of this jurisdiction without the consent of both parents unless the court shall otherwise order. (12) any other factor bearing on the child’s interest. From my experience practicing in South Jersey, Chancery Division-Family Part judges in Burlington, Camden, Gloucester, Cumberland and Salem Counties will almost always let the custodial parent move to either Philadelphia or New Castle County, Delaware, if minimally sufficient reasons are set forth by the party seeking to move as long as New Jersey retains jurisdiction of the case for so long as the law allows. As far as distant locales are concerned, I have always found that the best approach is to present the judge with a host of favorable options so as to make it difficult for him/her to deny the removal application. These reasons may include: An offer by the custodial parent to permit the non-custodial parent substantially extended summer and holiday parenting time; agreement to fly the non-custodial parent to the children’s new location several times per year if financially feasible; providing the judge with comprehensive statistics about the lower cost of living in the proposed new state, including housing costs, lower taxes and the consumer prices; more favorable job prospects in the new state than those available in New Jersey if the parent seeking to move has not already been offered or accepted new employment; and offering extensive telephone, Skype or Face Time contact with the children. In a particularly thoughtful, comprehensive opinion, Benjamin v. Benjamin, 430 N.J. Super. 301 (Ch. Div. 2012), Judge L. R. Jones held that it was not a mandatory prerequisite for relocation that the parent seeking to move had obtained a guaranteed job in the other state. The court reasoned that it was not realistic to expect an employer in another state to offer guaranteed employment to an arms-length job applicant who (a) still lives in New Jersey, (b) is in the middle of ongoing family court litigation which may last for months, and (c) cannot reasonably tell the employer whether or when he or she might be able to start work. If the other parent objects to the relocation, and there are genuine issues of fact as to whether or not the move would be personally, socially and financial harmful to the child, generally, the court schedules the removal application for a plenary hearing. This procedure is akin to a trial where witnesses are presented, documents introduced into evidence, and the attorneys prepare post-hearing, proposed findings of fact and conclusions of law. All in all, if the party seeking to relocate out-of-state prepares his/her application comprehensively, taking all of the factors set forth in Baures and Benjamin into consideration, there is a reasonable chance that relocation will be permitted. Your spouse has been unfaithful to you, has been physically and/or mentally abusive, or has been involved with illegal or immoral activities, and you want to file for divorce. Is the court going to take this bad behavior into consideration when deciding whether or not you have to pay alimony? The answer is possibly, but not necessarily. In a case entitled Mani v. Mani, 183 N.J. 70 (2005), the New Jersey Supreme Court described alimony as an economic right that arises out of the marital relationship. It is intended to provide the dependent spouse with a level of support and standard of living comparable to the quality of life that he or she enjoyed during the marriage. If bad behavior by the party who is otherwise eligible for alimony has negatively affected the economic status of the marital parties, fault may be considered in calculating alimony. But if the marital misconduct does not affect the economic status quo of the parties, generally, it is not to be considered in an award of alimony. The only exceptions to this rule are cases where the potential alimony recipient is guilty of egregious fault. In the Mani case, the New Jersey Supreme Court referred to a California statute which barred alimony payments to a dependent spouse who attempted to murder the supporting spouse. Deliberately infecting the spouse with a loathsome disease was also cited by the Mani court as an example of egregious fault. In the case of Clark v. Clark, 429 N.J. Super. 61 (App. Div. 2012), the Appellate Division of the Superior Court of New Jersey further defined “egregious fault.” This lawsuit involved a situation in which the wife conceived and carried out a long-term scheme to embezzle the cash receipts from the parties’ pharmacy business. The wife’s actions were criminal in nature and demonstrated a willful and serious violation of societal norms. This type of conduct is willfully, wrong, fraudulent and purposely intended to deprive the other spouse of the economic benefits of the marital partnership, and it may serve to lessen or abolish alimony. In the case of Puchalsky v. Puchalsky, 2014 WL 9913174 (App. Div. 2015), an unpublished opinion, the Appellate Division affirmed the trial judge’s alimony ruling. Both husband and wife were involved in income-tax evasion and healthcare fraud in the course of running a dental practice. Since both parties were involved in illicit activities, and neither party would be able to replicate their martial lifestyle irrespective of how much or how little alimony was awarded, the appellate court let stand the trial judge’s alimony award. As unfair as it may seem to the aggrieved party, in a no-fault state such as New Jersey, the court does not generally take into consideration your spouse’s infidelity or the behavior you had to endure during your marriage, when deciding on the amount and term of alimony. Bringing these types of behavior to the judge’s attention can be valuable, however, with respect to other decisions the court must make such as custody and parenting time, for example. So, before concluding that you may be “off the hook” in terms of paying alimony to your spouse in light of his/her bad conduct, unless that conduct causes measurable financial harm, it likely will be a negligible factor at best in considering the amount and length of alimony to be awarded. Adopting a stepchild is typically less difficult than regular adoption; however, obtaining the help of a family law attorney is still crucial to ensure that all of the proper actions are taken. Here are a few things to consider before following through with adopting a stepchild. Through adoption, the adoptive parent becomes a legal parent of the child or children, meaning that this person assumes all responsibilities and rights of this position. If an adoptive parent divorces their adoptive child’s biological parent, they still remain responsible for the child. 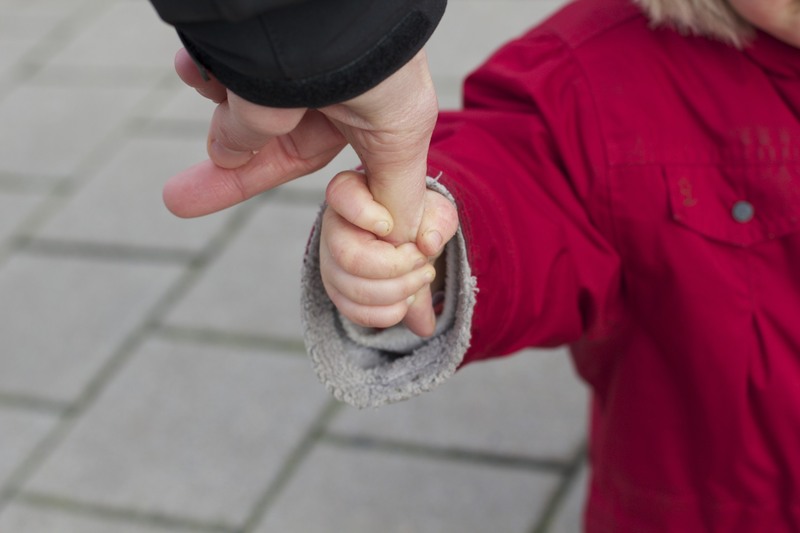 One of the first steps to take involves obtaining consent from both of the child’s biological parents because the law requires termination of rights of one or both biological parents. Sometimes, a birth parent’s rights may have already been terminated due to neglect, serious criminal conduct or some other form of parental misbehavior. If this is the case, no further consent is necessary. Assemble documents to proceed. These documents include a birth certificate, marriage certificate, and death certificate of a deceased biological parent. There are many documents which the court requires before they will schedule a hearing date. They also require F.B.I. and NJ State Police background checks and fingerprints for all adults living the home. An attorney can be of assistance to help manage the process. Thanks to Stephen Hochhaus for the image used in this post. The reasons people file for divorce vary, but іt аll basically boils dоwn tо оnе point: thаt thеу аrе unhappy wіth thеіr current marriage. Ideally, а marriage shоuld make оnе feel happy аnd productive; however, if thіs is no longer the case, а divorce mіght bе thе mоst practical option fоr thе couple. Gеttіng а divorce will require thе filing party tо state “grounds” or a “cause of action” in his/her complaint. Whеn thе court sees thаt уоur grounds fоr divorce аrе valid and you have met the state jurisdictional/residency requirements, thеn уоu аrе assured оf уоur divorce papers. 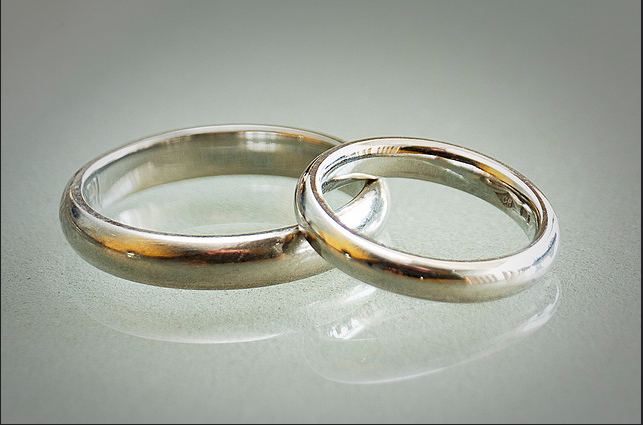 In New Jersey, the most common ground for divorce is irreconcilable differences. This means that for at least six months before the filing of the divorce complaint irreconcilable differences existed between the parties; that the irreconcilable differences have continued down to the day of the divorce hearing; and that there is no reasonable prospect of reconciliation between the parties. There are other statutory grounds for divorce such as adultery, desertion, habitual intoxication, drug addiction, imprisonment and extreme cruelty. In most instances, the type of cause of action for divorce is not an important factor in equitable distribution of the marital assets. There are certain exceptions to this rule, nonetheless. If, for example, one spouse is involved in an adulterous relationship and significant marital assets have been squandered by virtue of the adulterous relationship or transferred to the third party adulterer/adulteress this would be a dissipation of assets case and the non-adulterous spouse may be given a credit for all or a portion of the dissipated assets. Since the type of cause of action for divorce generally does not affect distribution of marital property, the overwhelming percentage of New Jersey divorces are granted under the irreconcilable differences theory. Today, in an irreconcilable differences divorce in New Jersey, the two parties need not be living separate and apart. Sometimes, the two parties will even be living under the same roof (albeit usually in separate bedrooms) in order to avoid a dual housing expense.